28nm GPUs stuck around for a good while – almost five years, in fact. Difficulties in shrinking beyond this level forced both AMD and Nvidia to improve performance and efficiency without the aid of a die shrink and Nvidia undoubtedly did a better job with its super efficient Maxwell architecture than AMD was able to with its refreshed Graphics Core Next products. Finally, however, the industry is moving on. Last month saw the introduction of the 16nm Pascal architecture from Nvidia with the release of the GTX 1080 swiftly followed by the GTX 1070, and now AMD is here with its 14nm Polaris architecture and the first graphics card to use it: the Radeon RX 480. 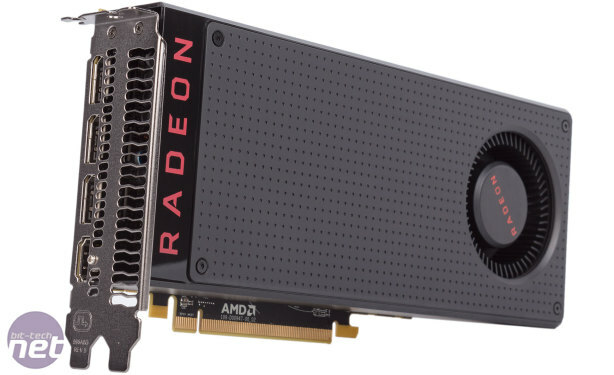 Widely reported to be a $199 part (exact pricing will vary depending on the SKU), the RX 480 is not looking to compete with any current Pascal parts. Instead, this is very much a mass market part, targeting those on a two or three year GPU upgrade cycle. AMD points out that, according to Steam, 95 percent of gamers are still playing at 1080p or below, and 84 percent only ever spend between $100 and $300 on GPU upgrades. Now, Nvidia will of course be aware of these facts too, and just when it decides to target this same market segment with Pascal remains to be seen, but success in this area is crucial for generating revenue, so any head start AMD can get here could be very beneficial. To achieve this success, AMD is looking to deliver in three key areas: bang per buck, performance per watt and software. On the first point, AMD wants the RX 480 to reduce the cost of entry to VR by delivering hitherto unseen performance for this price point. On the second point, it's also aiming to enable thing and light gaming notebooks to deliver console-class gaming experiences (remember, the PS4 Neo is widely rumoured to be using a Polaris part). Finally, AMD is trying to leverage its renewed focus on software to continually deliver solid drivers and ever simpler ways for developers to port games from console to PC. To these ends, AMD has produced two new GPUs: Polaris 10, a >5 TFLOPS part, and Polaris 11, a >2 TFLOPS part. These power levels were supposedly specifically chosen to be similar to console parts, but it's desktop graphics cards that we're of course interested in, and there are three in the Polaris lineup that have been officially confirmed thus far. First, of course, is the one launching today, the RX 480, which utilises a fully enabled Polaris 10 GPU and targets beyond HD and VR gaming. 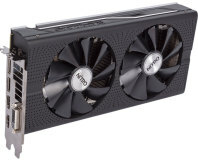 The RX 470 uses the same GPU but is culled a little and is touted as the 1080p powerhouse, while the RX 460 moves to the Polaris 11 GPU and is designed for esports titles and built as a quick and easy upgrade for virtually any system – it's a sub-75W part without a supplemental power connector. As with Pascal, there is no major architectural overhaul with Polaris. The new GPUs still rely on the Graphics Core Next architecture – now in its fourth iteration – with some tweaks which we'll discuss shortly. This is not at all unexpected; the sheer cost alone of developing a brand new architecture is reason enough for AMD to avoid it, but it will be reaping significant benefits regardless by transitioning to 14nm and GCN is effectively the backbone of the current console generation anyway. What is new is AMD's naming scheme, and unlike with most components there does actually appear to be some sense behind it. The RX prefix replaces the R5/R7/R9 nomenclature and signifies a gaming part. For the numbers, the first digit signifies the GCN generation, and the second refers to the tier of product. Pretty simple, really. Examining the specifications throws up some points worth delving into. First, the transistor count, die size and TDP relative to 28nm GCN parts emphasise the impact that a die shrink has. Next, you'll notice that the memory configuration is not fixed. The true baseline specification of the RX 480 gives it 4GB of GDDR5 clocked at 7Gbps for 224GB/sec of bandwidth, with pricing for this starting at £180 including VAT. However, the AMD-built board that we and others have been supplied for review is of an upgraded spec – 8GB of GDDR5 at 8Gbps for 256GB/sec of bandwidth – which starts at £215. Reference models of both should be available immediately, and we understand that partner cards will follow very shortly, naturally with a range of configurations. Note also that AMD is now making clear its base clock (the GPU's lowest clock speed when under load) and boost clock (the highest it can boost too within its default temperature, noise and voltage parameters). Previously, it preferred not to disclose its base clock and refer to boost clock with an 'up to' caveat. This new approach, the company says, is designed to highlight the more dynamic nature of the new cards that are more about striking a performance/efficiency balance. The base clock of 1,120MHz here is AMD's highest yet, but it's still some way off what we've seen Nvidia manage with Pascal. The last major things to note is that Polaris finally sees AMD bring its display capabilities up to date, with support for DisplayPort 1.3 and 1.4, HDR and HDMI 2.0b. It has also replaced Overdrive with WattMan in Radeon Settings to deliver even more fine-grained overclocking. New massive driver package including Radeon ReLive for game recording and streaming. Competition: Win a VR-ready gaming PC from The PC Customiser! 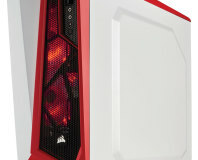 Enter now for a chance to win a fully built gaming PC! 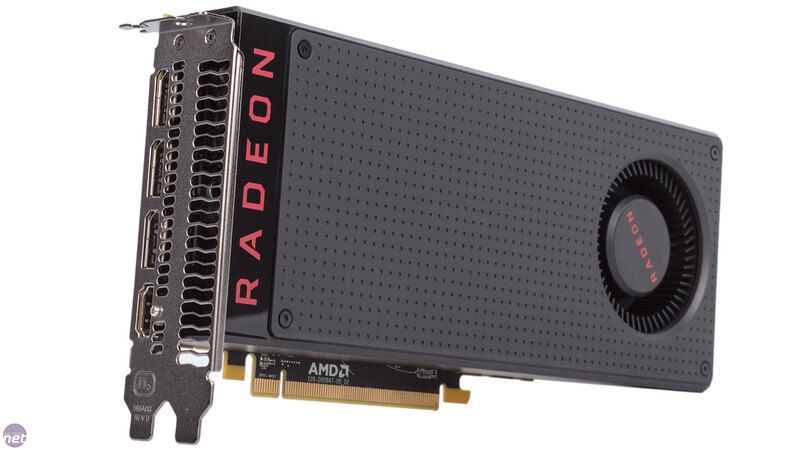 Sapphire's Nitro+ RX 480 offerings are feature-packed but keep costs down - a winning combo?